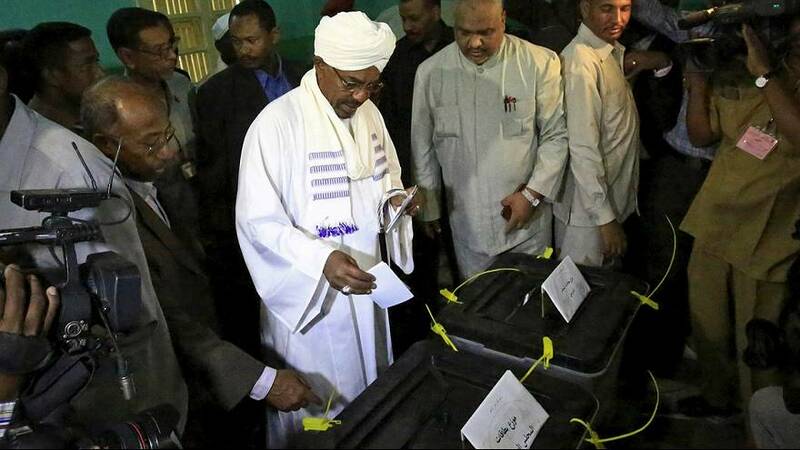 Voting has started in Sudan in the first of three days of presidential and parliamentary elections. There is no way that this election is going to be not free. The result is a foregone conclusion, analysts say: incumbent President Omar al-Bashir is most likely to win. In power since 1989, Bashir and his National Congress Party (NCP) are going up against a handful of minor candidates. Most of the main opposition parties have boycotted the vote. Bashir is wanted by the International Criminal Court (ICC) on charges of war crimes. However, during his campaign he pledged peace, development and improvements for the economy in Sudan’s first presidential election since the secession of South Sudan in 2011. However, Professor Mukhtar Al-Assam disagreed. Speaking to Voice of America, the head of Sudan’s Independent Electoral Commission claimed the vote would be fair. Voting is expected to end on Wednesday (April 15).